Never doubt that a small group of thoughtful, committed, citizens can change the world. If you're interested in learning what an anthropology major or minor can do for you, please meet with me. Many anthropologists and archaeologists in North America belong to two professional associations: the Society for American Archaeology and the American Anthropological Association. Both organizations offer useful information for those considering a career in anthropology and/or archaeology. You can also see what types of jobs are available for academic archaeologists at the sites below. 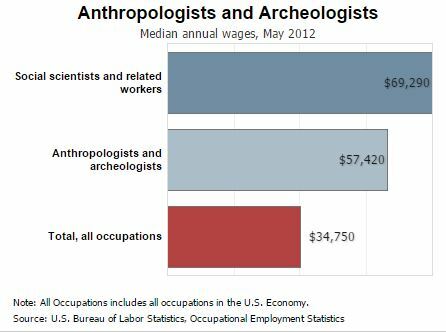 Search under "archaeologist" or "anthropologist." How many archaeologist are there in the U.S.? For the Anthropology majors or those considering it, here's a book, "The Anthropology Graduate's Guide: From Student to a Career" for additional support. And, why not joint the Anthropology Club at CC?